Hugh Jackman may soon need to trade in his Wolverine claws for a proper pair of swords. Variety reports that Jackman is in talks to play the villainous pirate Blackbeard in director Joe Wright’s (Hanna) upcoming Peter Pan origin film Pan. The adventure pic is based on the J.M. Barrie tale and tells the story of “an orphan who is taken to the magical world of Neverland, where he becomes the savior of the natives and leads a rebellion against the evil pirates.” Warner Bros. initially approached Javier Bardem about playing the Blackbeard role, but he passed, leading the studio to then approach Jackman. Hit the jump for more, including how Hook fits into the story and what kind of actor is being eyed to play the titular Peter Pan. Per Variety, Blackbeard will serve as the main antagonist in Pan, with Peter Pan initially teaming up with Captain Hook as his ally before he eventually turns bad. The studio’s first choice for the Hook role was Ryan Gosling (he passed), so it appears that they’re going a bit younger for the classic character. For the role of Pan, Wright and WB are keen on casting “a discovery”, so they’re expected to hold open auditions shortly. They’re also looking for a mid-20s actress to play Tiger Lily. Jackman is currently filming director Neill Blomkamp’s sci-fi film Chappie, but he was weighing a few offers for his follow-up project including The Incredible Mr. Limpet, also at Warner Bros. There was a question as to how Jackman’s Wolverine would fit into the recently announced 2016 X-Men sequel Apocalypse, but we recently learned that the Days of Future Past follow-up will be focusing on the younger First Class cast. 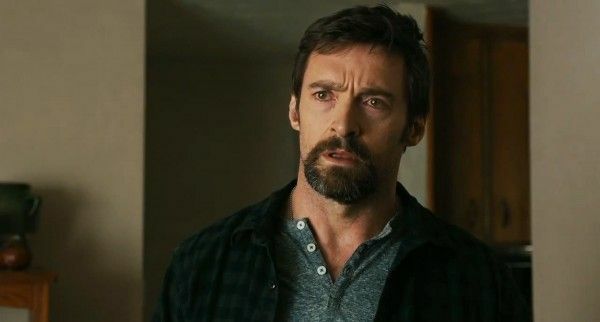 Jackman is developing another standalone Wolverine film with The Wolverine director James Mangold, but that pic is probably still a ways off as Jackman has cautioned that he won’t officially sign on until they have a worthwhile story. Pan will be released on June 26, 2015.